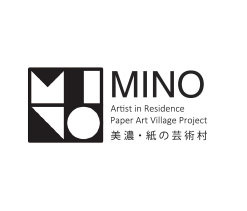 We regret to inform you that “Paper Art Village Project in Mino” closed down in March 2016.
for your unfailing love and support over the last 18 years. We happily announce a start of a separate, new project “Mino Art Info” in April, 2016 (Japan Time). What is “Mino Art Info”? We do not focus on inviting artists but focus on assisting with networking in order that your individual proposals/projects (research, creation, workshop, cross-cultural exchanges or collaboration with artisans in Mino or with Mino etc) realize and you achieve your goals. If you want to spend some time in Mino, we can introduce you to some accommodations, atelier spaces and longer-term housing options for rent. For convenience, we’ll continue to use this homepage taken over from Paper Art Village Project in Mino.